As we rub the bleary fog from the earliest hours of 2019, now is a great time to eagerly – annoyingly – and with a far (FAR) off twinkle, begin to look ahead to the releases that are forthcoming. A handful of artists and bands had hoped to release new somethings in 2018, but whatever happened, happened, and now we can assume those records will come early in the new year. It is our sincerest hope that My Bloody Valentine, TV on the Radio, My Morning Jacket, and Modest Mouse will be doing this, should they be reading this local Southwestern rag. With a quick keystroke search, the first notable release date (well, as far as I’m concerned) comes on January 18, just a few short weeks into the calendar year. “Malibu Ken,” Malibu Ken; released by Rhymsayers EntertainmentI received an email late in 2018 regarding an early release that instantly piqued my interest and curiosity. 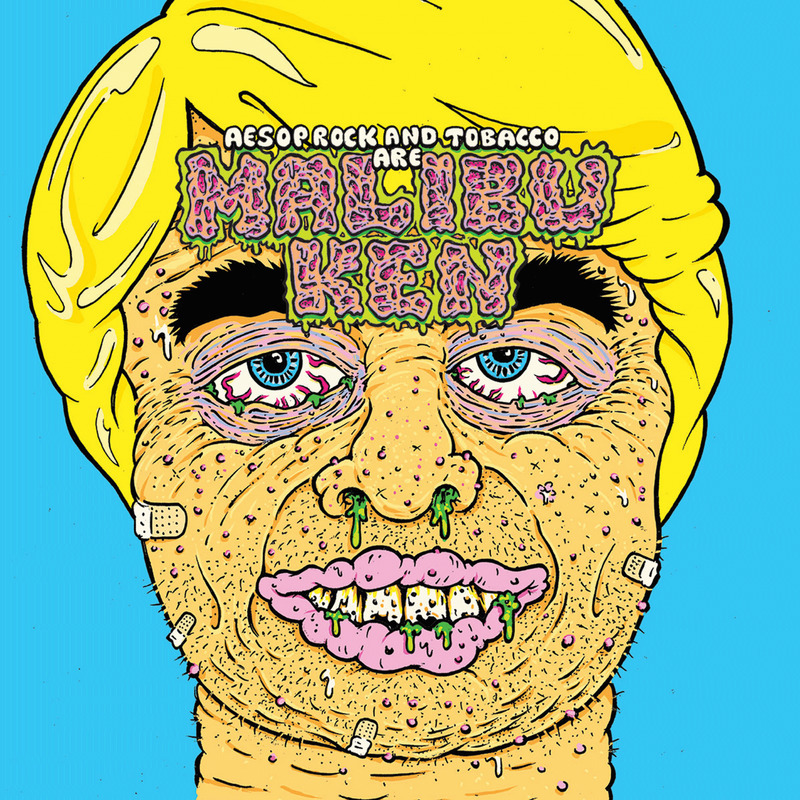 Malibu Ken is a collaboration by an all-time favorite MC and a prolific, forward-thinking producer and beatmaker whose precise and off-kilter psychedelic electronica has been in and out of my rotation for years. Aesop Rock released one of my favorite albums of 2016, “The Impossible Kid,” and TOBACCO has done fantastic work as a solo artist and member of pioneering experimental pop psych group Black Moth Super Rainbow. One cannot help but be excited for an album from one of the most verbosely dexterous and prolific rappers alive, alongside a preeminent talent with beats, blips, textures and soundscapes. 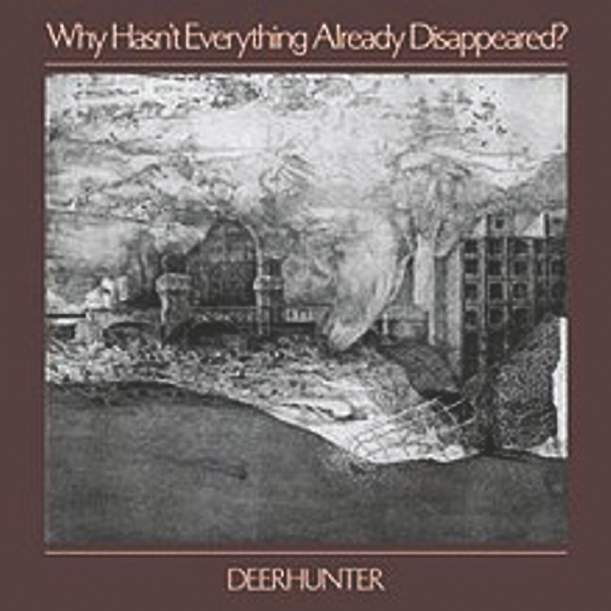 “Why Hasn’t Everything Already Disappeared?,” Deerhunter, released by 4AD There hasn’t been a full-length album from Georgia’s Deerhunter since 2015’s “Fading Frontier.” Bradford Cox and company’s densely composed and crafted brand of indie rock, for whatever reason, isn’t for everyone, and that’s too bad, because it should be. As I’ve mentioned from time to time, I prefer NOT to hear advance tracks from bands whose albums usually work best as a whole package. This is just a matter of preference, but it is bands like Deerhunter that make waiting so fulfilling for me. I could have easily listened to “Death in Midsummer” in late October or “Element” in mid-December, but I’ve found records from Deerhunter are better absorbed and realized while listened to and enjoyed within the context of the entire album. The album features contributions from Cate Le Bon and Tim Presley (aka White Fence), and was recorded in a little town called Marfa, Texas, along with Los Angeles and Atlanta. Other notable releases on January 18 include: “Weird,” Juliana Hatfield; “Remind Me Tomorrow,” Sharon Van Etten, “The Unseen In Between,” Steve Gunn; “It Won/t Be Like This All the Time,” The Twilight Sad; “Outer Peace,” Toro y Moi. Notable releases on January 25 include: “Almost Free,” FIDLAR; “Power Chords,” Mike Krol; “Nowhere Now Here,” Mono; “Highway Hypnosis,” Sneaks; “Why You So Crazy”, The Dandy Warhols and “Music To Draw To: IO”, Kid Koala. Notable Releases on February 1 include: “What Chaos Is Imaginary, Girlpool; “bi/MENTAL,” Le Butcherettes; “Encore,” The Specials; “Gallipolli,” Beirut; “Stuffed & Ready,” Cherry Glazerr. The above is subject to change, of course, and I’m curious as to what records you are looking forward to in the next 12 months. Care to share? Feel free to email me at KDUR_PD@fortlewis.edu. Questions, comments, and criticisms are always welcome.